In terms of my interest in the monument it really stems from the very unique lettering that is used in both the front and rear. 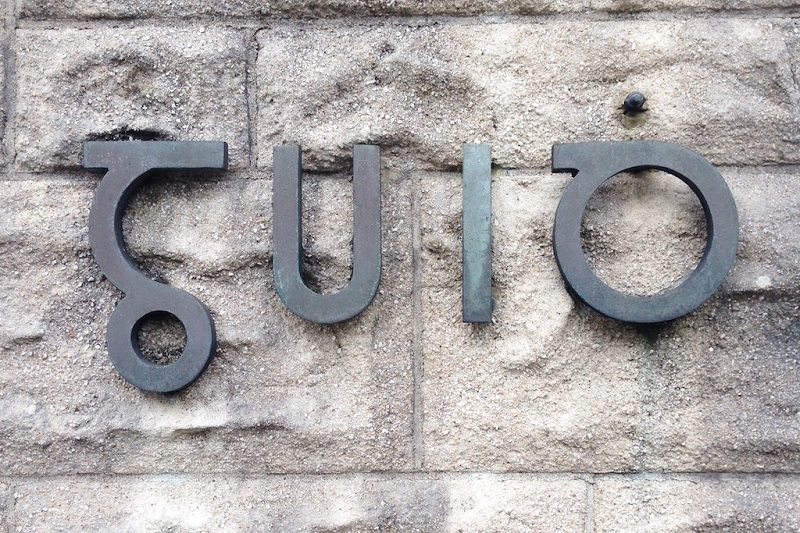 This lettering is a form of Irish insular script* <http://en.wikipedia.org/wiki/Insular_script> (not to be confused with the more commonly "Irish" uncial script you see on many faux-Irish bars and shops for example). 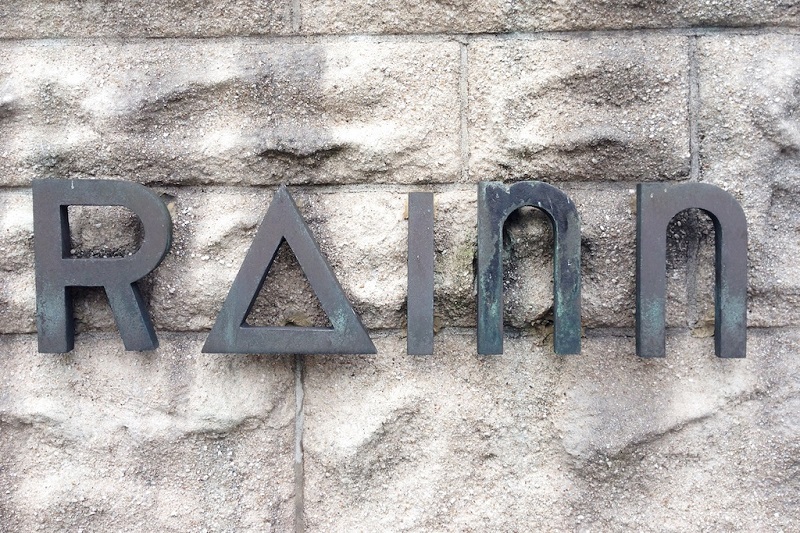 This lettering is clearly influenced by Art Deco stylings, but more so by the Bauhaus <http://blog.visual.ly/six-lessons-from-the-bauhaus-masters-of-the-persuasive-graphic/>, and the socially democratic and left-leaning politics associated with this school would seem to fit well with the nature and spirit of the monument and the struggle it commemorates. One other interesting aspect is the orthography used, including the lenited (over-dotted) M and D to denote Mh and Dh. This is a little anachronistic as there were several spelling reforms prior to this that tried to simplify the Gaelic script and language. Overall the monument (including the beautiful bas-reliefs on each side) is a very interesting piece and worthy of attention for its place in Irish design and as a hidden gem. I haven't been able to find out too much about the sculptor Frank Hourigan, but i do have some contacts in NCAD in Dublin and will look into it in the future. The designer of the Monument was a Mr. Frank Hourigan, A.N.C.A. (County Arts Instructor) who was an Arts teacher in Castlebar before moving to live, and teach in Ballina Vocational School. 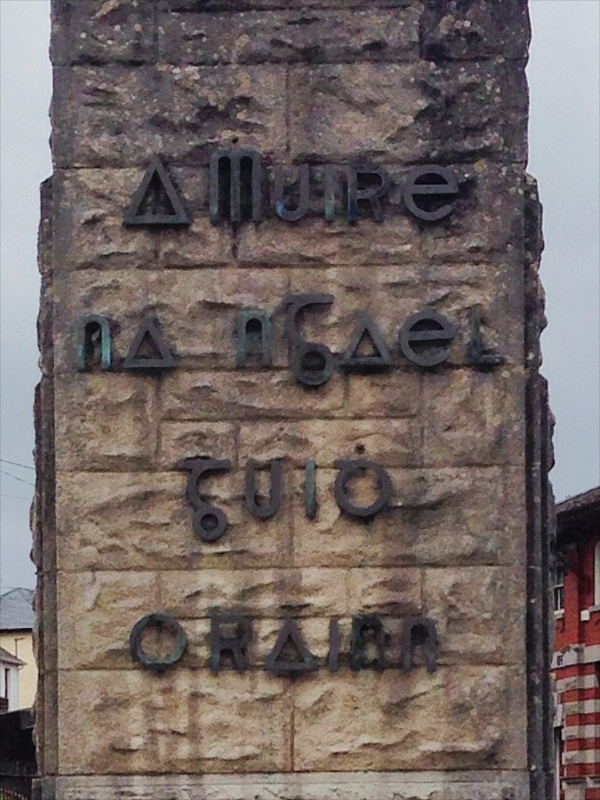 Before he came to Mayo, he taught in the College of Art, Dublin where he made a name for himself as a sculptor. In 1978, he helped found Ballina Arts Society and retired from teaching the following year. I think he moved away to Cork and he was credited by Padraig Flynn for teaching him how to paint during the 1950's in Castlebar VEC offices. 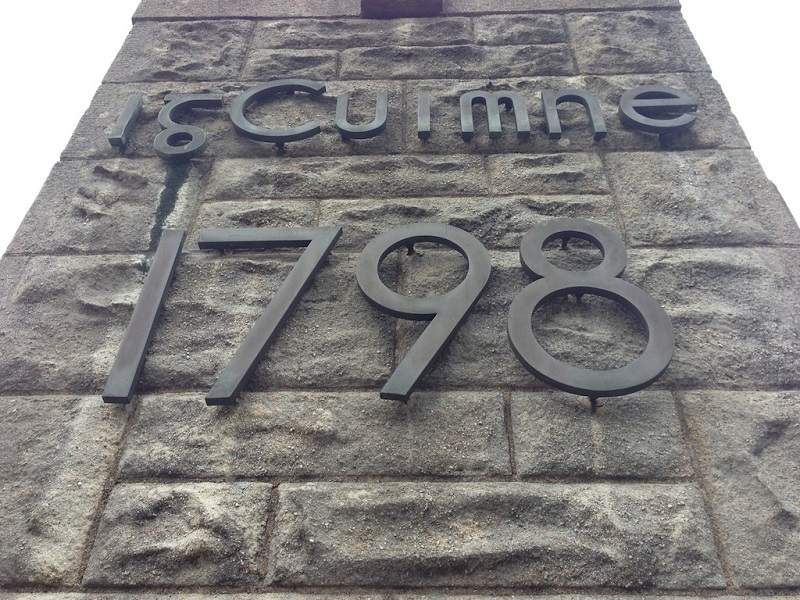 The contractor for the Monument was JP McCormack & Sons, Castlebar and the bronze plaques were made by McLoughlin Brothers, Dublin. Work was supervised by JS O'Connell, B.E. and JP McCormack, B.E., Castlebar. 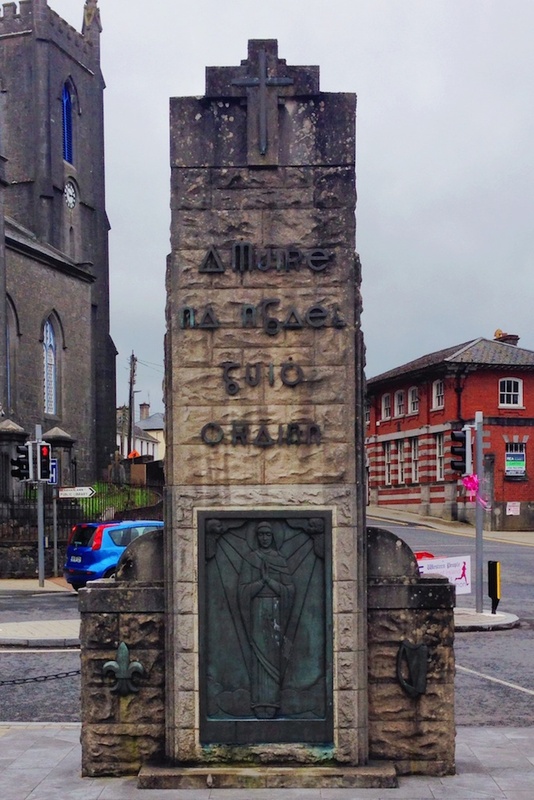 The Monument was unveiled and blessed on Sunday, August 30 1953 by President Sean T O'Ceallaigh & the Archbishop of Tuam, Dr. J. Walsh.